MISSISSAUGA, ON, Oct. 11, 2018 /CNW/ - Alectra Inc. established a commercial paper program (the Program). 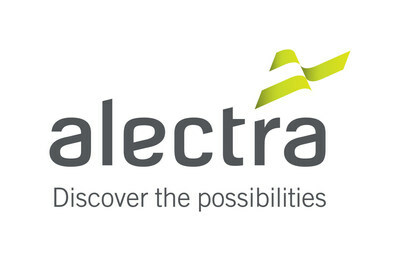 Under the Program, Alectra Inc. (the Company) may issue, from time to time, commercial paper notes (the Notes) p to a maximum amount of $300 million Canadian dollars. The Royal Bank of Canada is acting as the issuing and paying agent and the Notes will be offered through a commercial paper dealer syndicate, which also includes the Canadian Imperial Bank of Commerce, the Toronto-Dominion Bank, Bank of Montreal, and RBC Dominion Securities Inc. This news release does not constitute an offer to sell or a solicitation of an offer to buy Notes under the Program in any jurisdiction. This news release is not an offer for sale within the United States of any debt or other securities of the Corporation. Alectra's family of energy companies distributes electricity to nearly one million customers in Ontario's Greater Golden Horseshoe Area and provides innovative energy solutions to these and thousands more across Ontario. The Alectra family of companies includes Alectra Inc., Alectra Utilities Corporation, and Alectra Energy Solutions.